If you had known the simple secret I’m about to tell you 3 and a half years ago, you could have saved the dot-com industry AND made millions of dollars. OK â€¦ that’s a little extreme, but I say that to get your attention â€¦ and because it’s not all that far from the truth. A few years ago, everyone thought the dot-com revolution would change the world of business forever. And, at first, dot-com stocks went through the roof. Problem is none of those companies were actually making money. Billions of people looked at millions of colorful websites. Web surfers enjoyed the eye-catching graphics, the audio and video â€¦ but they didn’t stay. They went on surfing! Nobody stopped to buy anything! And thousands of Internet companies went broke. Even with all their programmers, Web designers, and the best hi-tech hardware, the dot-com companies failed because they neglected one vital ingredient â€¦ one essential skill. The KEY to Internet Profits Is a “Low-Tech” Secret You Can Easily Master! Very few people have this skill. Few colleges teach it. Dot-com designers built most of their websites without it. But experts in this “low-tech” field proved long ago that graphics may look nice â€¦ audio and video might entertain people â€¦ but it takes more than that to get people to spend their hard-earned money. The secret I’m going to share with you isn’t new. It’s what’s driven the majority of sales for the last hundred years. It’s â€¦ the written word. Even more to the point, the written word, used in a proven formula: Make a promise to your reader. Show him how the product will deliver the promised benefit. Then ask for money. It’s that simple â€“ that is, if you use easy-to-learn proven formulas. What profitable websites have discovered now is that it’s these time-tested formulas that work. The sites that are making money have strong messages that stop Web surfers in their tracks â€¦ and persuade them to pull out their credit cards and BUY! Now, the Internet Is Coming Back â€¦ and Getting Bigger Every Day! Internet companies learned a very expensive lesson in the dot-com collapse. They’re rebuilding now, and doing it right this time. Millions of commercial websites desperately need writers with this skill. Internet businesses are back â€“ and making money! NASDAQ stock prices are UP 44% in 2003, led by strong retail sales. Since July, Amazon.com stock is UP 55% and Intel’s rose 24%. Dell’s profits soared 21% on strong demand for Internet hardware. E-Bay reports revenues are UP 89%, and their profits have more than TRIPLED! Even in the grim economy of last Christmas, INTERNET SALES CLIMBED 48%! INTERNET SALES WERE UP 30% on the day-after-Thanksgiving, 2003. Microsoft has so much cash they started paying dividends to shareholders. Online advertising is now the fastest-growing category of all advertising media. We all know that someday soon, the Internet will be the biggest commercial medium in history â€¦ and a goldmine for commercial writers. The new dot-coms realize that, even with all the latest technology, their websites are dead without good writing. They must persuade visitors to buy products â€“ and buy them on the spot â€“ because so many surfers don’t return. Here’s How You Can Make BIG MONEY â€¦as e-Business Comes of Age! Any written material that sells products is called copy. The copy used on websites and by many other businesses is called direct-response copy. This special form of copy has a unique, powerful flow that motivates customers to “respond directly” and buy products. Direct-response copy gives many businesses the power to sell their products without any other advertising — or any paid salespeople. So they can afford to pay YOU big money for well-written, effective direct-response copy! Let me introduce myself. My name is David Chapman. During the past 20 years of our roller-coaster economy, I’ve been laid off, downsized, or let go, over and over again. Without a bachelor’s degree, I’ve gone from job to job, looking for a steady paycheck. And never finding one. Then I got a letter — a letter like this about writing for money. It sounded so good I honestly didn’t believe it at first. It took a brush with death on a lonely western highway to convince meâ€¦but I’ll tell you that story in a minute. You don’t need a college degree, or any special experience, to do this work. Surprisingly, few writers have mastered this specialty. All of them are in great demand. Companies seek them out. They choose their own projects, charge impressive fees, and they live the writer’s life! If you learn this skill, you’ll be in big demand, you’ll make great money, and you’ll enjoy your work. Best of all, you’ll have freedom â€¦ personal, professional, and creative freedom. You can work at home and live anywhere in the world. You can specialize and write about areas you enjoy. Set your own schedule. Take time off whenever you want. Maybe this sounds like an impossible dream â€¦ too good to be true. That’s exactly what I thought, when I heard about copywriting. But now I’m doing it! Believe me: If I can do this, you can do it, too! I used to be a security guard â€¦ I even drove trucks for a living until I learned the secrets of writing direct-response copy â€¦ and my life changed. Join Us in a $1.53 TRILLION Industry! Vast numbers of direct-marketing businesses rely on this very valuable writing. They made $1.53 TRILLION in revenue last year, and 8.8 % growth is predicted for the next two years (Direct Marketing Association). Think of it: Direct-response copy brought in more than a TRILLION dollars. That’s a HUGE number! You have more possibilities, and more opportunity than you ever imagined â€¦ right here in front of you â€¦ right now! Words You Enjoy Writing â€¦ Can Be the Life-Blood of Business! One of my copywriting teachers calls it “talking on paper.” If you can talk to people, your “writing skills” are just fine. You should never use big words and complex grammar as a copywriter. The power of good copy comes from its hidden structure and many other compelling features. If you enjoy creative writing â€¦ if you dream of writing a novel or a screenplay â€¦ learn to write copy and all your writing will get razor-sharp! Copy skills are like heavy-duty power tools for writers. You’ll write faster, write stronger, and you’ll make a lot more money! Sooner Than You Think, You Can Join the Best-Paid Writers in the World! Several months from now — if you choose — you will begin to feel the power and prestige of working as an independent professional. You can work as little or as much as you want. You can make a professional income (like that of a doctor or lawyer) regardless of your education, age, or work experience. You can work at home and live anywhere you like! You Can Choose the Work You Love! Because so much work is waiting (because there are relatively few copywriters available to do it), YOU CAN CONTROL YOUR DESTINY! If you complete our world-class training, and then get just a little experience, you can start to pick and choose your assignments. I’ve always loved to collect interesting facts â€“ but I never dreamed I’d get paid so much money to do it! For copywriters, it’s essential. We spend plenty of time on research, because we know that people respond to useful information, not empty hype. Interesting copy is far more enjoyable to read â€“ and a lot more fun to write. If you like to learn fascinating new facts on every assignment, copywriting is definitely the right job for you! Another advantage to writing website copy is this: People truly want to read it! Customers use computers and search engines to actively look for products. Many of them are trying to decide what to buy. Your copy gives them the information they want â€“ when they want it! You actually help make their lives easier and more convenient. That’s why Internet shopping is the future of business. People can find anything they want, any time they want it, on any computer. Incredible convenience, amazing speed, and a mind-boggling selection of products. Learn to write copy for the Internet now, and you’ll have a wealth of opportunities as more and more businesses move to the Web! If You Dislike Ads, Fine â€¦ You Can Change the World Instead! You’ll be surprised by how creative and enjoyable copywriting can be. But keep this in mind, too: You can do much more than sell products as a copywriter. You’ll have power! You can make things happen in this world. Your writing can raise millions of dollars for causes you love. YOU can help save the rainforest, cure cancer, conquer AIDS, beat heart disease, or help any other cause you care about â€¦ with your first-class copywriting skills. Your written words could literally influence the course of history. If you think I’ve gone too far â€¦ think about this: Governments control our world. Politicians run governments, and they depend on fundraising to get elected. Fundraising depends on advertising, publicity, and direct mail â€¦ and all of that involves copywriting. “Blockbuster” political packages can sway millions of votes or raise millions of dollars in campaign funds. And that could definitely change the outcome of an election. Copywriters can change history. They’ve already added to it. Did you know that the Pledge of Allegiance was originally written by a copywriter â€¦ to help sell more flags? When the Declaration of Independence was first published, copywriting helped pay for it. Advertising was printed next to the Declaration to cover the printing and circulation costs. Paul Hollingshead likes to call this “the Greatest Job in the World.” After you read his story, you’ll understand why. Paul was working in a grocery store, stocking the pet-food aisle, when he began to learn direct-response copywriting. Because he studied with the best, success came quickly for Paul. His writing generated over $100 million in sales during his first seven years. Paul has made nearly $2 million from his copywriting so far. I’ll always be grateful to Paul, because he wrote the letter about copywriting that changed my life. Before You Change the World â€¦ Learn From the World’s Best! Suppose you wanted to learn to play golf â€¦ and Tiger Woods offered to be your personal coach. Or maybe you’ve always dreamed of singing â€¦ and you could study voice with the same teachers who taught Pavarotti. Sound fantastic? That’s exactly what you can do, while you learn copywriting. You can learn from the same group of legendary copywriters â€“ the Tiger Woods and Pavarottis of the copywriting business â€“ that Paul learned from. Paul’s team of “tutors” has created MORE than a BILLION DOLLARS in sales revenue in the last 25 years â€“ all from copywriting. One man in particular, Michael Masterson, has used his copywriting and marketing wizardry to “jumpstart” dozens and dozens of businesses â€“ from smaller “start-ups” that very quickly hit the $1 million mark to at least two companies that grew from $10 million to $100 million in a few short years â€“ all thanks, in part, to powerful sales copy. And, as you can imagine, all his success has made Michael very wealthy. So why doesn’t he simply retire now and enjoy his wealth? Fortunately for all of us, he still enjoys using both his skills to grow businesses and his other great talent: teaching copywriting. Don Mahoney was working 12-hour days as a cabinetmaker. He never made more than $30,000 in a year. All the dust and toxic chemicals were seriously affecting his health. But after a reunion with Michael Masterson (they were childhood friends), Michael offered to teach Don how to write direct-response copy. That was several years ago. 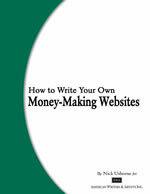 His first year in copywriting, Don made $40,000. His second year, $80,000. Now Don Mahoney lives a very different life. He makes more than $200,000 a year writing copy â€¦ and he lives in a beautiful home by a golf course on Miami Beach. I’ve met Don, and I’ve studied under him. Don is a fine teacher with a clear, straightforward approach. Like Paul Hollingshead, Don wants to help newcomers begin successful copywriting careers. Because of the chronic shortage of trained copywriters and the ongoing demand for copywriting skills, Don and Paul approached their teacher, Michael, and the other copywriting superstars they had learned from with the idea of creating a very special training course that would be unlike anything that had ever been attempted before. 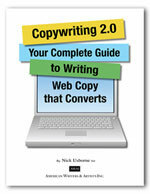 Wisdom from the world’s leading copywriters packs every page of this program. Don and Paul started with the very same foundation that Michael taught them â€“ and then took it even further. They worked with Michael and what is now an all-star Board of Advisors. They asked every superstar for his or her most powerful principles â€¦ their hottest techniques â€¦ their most valuable secrets â€¦ all the insider methods they used to create some of the most dynamic, effective copy in the world. Don and Paul put it all into this one-of-a-kind program that they named in honor of the man who had changed their lives so dramatically. And, now, you can learn it all too. Forget the pet theories published by ivory-tower academics. Let business-school students spend several years and a small fortune, just to cram scholarly research. You can learn the actual methods, straight from the real people who, altogether, have generated more than $3 billion in real business, out in the real world. Your first lessons will focus on some of the greatest direct-response copy of all time. You’ll study famous letters, letters that made fortunes. Then you’ll learn every technique, every secret, and everything there is to know about writing powerful, persuasive copy. 3 Incredibly Powerful Principles of Persuasion (or Selling.) Learn these secrets and your life will change! In your writing, conversation, and relationships, you’ll use these over, and over, day after day, for the rest of your life â€¦ because they’re SO effective! Why the Smallest Part of Every Package Is the Most Important! You should spend as much as 50% of your time writing this. It’s essential, but also very creative â€¦ and fun to do! The Secret Architecture of Direct-Response Copy. Learn how to sell (or persuade) without your reader ever realizing what you’re doing â€¦ until they’re already sold! POWER Writing Makes Every Word You Write More Dynamic, Vivid, and Persuasive. Yes, even your letters, memos, resumes, articles, novels, screenplays â€¦ everything! Unleash the Awesome Power of Emotions: Grab the hearts and minds of your readers by identifying their “Hot Buttons” and “Core Desires” â€“ and supercharge your writing skills! 10 Sure-Fire Ways to Find Clients in Your Hometown. You just have to know where to look. Good-paying assignments are all around you, and you can easily find them. How to Get FREE Examples of the Latest, Greatest, and Strongest Copy Anywhere â€“ so you can keep your own projects powerful, up-to-the-minute, and making BIG money! State-of-the-Art Copywriting for the World-Wide-Web. Learn Internet copywriting from experts â€“ who’ve already made millions â€“ and tap into this AWESOME opportunity! You can live an artist’s life, but earn the income of a lawyer, doctor, or dentist. And you won’t experience a fraction of the stress most professionals live with. You can enjoy quiet, creative days. Your schedule and your workload are totally up to you. If a sidewalk cafÃ© in Paris really gets your creative juices flowing, go there with your portable computer! If you love big-city life â€¦ or if you dream of log cabins and pine trees â€¦ you can live there! One copywriter loves to live on his Montana ranch â€¦ but he also loves scuba diving. So he writes promotions for resorts in the Caribbean. Naturally, he visits his clients two or three times a year â€“ and he takes along his diving gear! Copywriters can live anywhere: sunny beaches, majestic mountains, or a small town in the country. What’s your pleasure? You can create your own life â€“ your dream life â€“ as a direct-response copywriter! Learn a Skill Worth Big Money â€“ and Skip All the Schemes! Then there are those writing schools and art schools with a “talent test.” Sure, it’s possible to make big money by writing or illustrating â€“ but first you have to buy their course. After you finish their course, you find out the ugly truth. You struggle to sell your work, and your pay is pitiful! At first, you might not even make minimum wage! â€¦ Many of My Associates Now Make $50,000 PART-TIME! Before I began this new career, my all-time-biggest paycheck was $887. To earn that meager amount, I spent seven grueling days on the road, driving an 18-wheeler more miles than I ever drove before. Afterward, I slept for two days and I felt awful for a week. It just wasn’t worth it. I knew I had to find a better way. Are you driving yourself too hard â€“ for a paycheck that’s too small to buy the lifestyle you’ve always dreamed of? Are you looking for a better way? Biggest Paycheck of My Life â€¦ on My Very First Assignment! I Could Be Making $10,000 a Month, in Royalties Alone! You’ll Have the World’s BEST â€¦ Dedicated to Your Success! The American Writers & Artists Institute of Delray Beach, Florida wants you to succeed in direct-response copywriting. That’s their whole purpose. When you succeed, their program has succeeded. If you’re ever in Delray Beach, stop in at their office. You can meet the staff and the dedicated professionals who teach copywriting. Make no mistake; many of the people on the AWAI Board are among the world’s best. Take Bob Bly, for example. Next time you’re using a computer, get on the Internet. Go to www.bly.com. Look over his client list. Then visit Amazon.com. Search for books written by Robert W. Bly (not including books by the well-known poet Robert Bly). When I went down the list yesterday, I stopped counting after 41 books! Three of those books sit on my shelf as I write this: Secrets of a Freelance Writer, The Copywriter’s Handbook, and Write More, Sell More. With all the books he’s published, Bob Bly may be the world’s most widely recognized authority on commercial writing. At one AWAI seminar that I attended, Bob taught a class and proved his dedication to helping student copywriters. Many of us were eager to hear Bob’s presentation on how to get clients and build our copywriting businesses. But the prior session had run late and we were concerned that Bob’s class might be shortened or dropped. Not to worry: Bob cheerfully announced that he would hold his session after dinner, instead. He promised to answer every question from every student, no matter how long it took. He covered the topic beautifully, and then began taking questions. After four hours, I gave up and went to bed. But Bob stayed â€“ and answered questions until midnight! Beth Erickson, a soft-spoken woman from a small town in Minnesota, found clients close to home. Her first effort, a fund-raising letter she wrote in two days, paid Beth more than she had earned in two weeks as a seamstress. And, talk about a confidence-builder, Beth’s very first letter was the most successful piece that client had ever mailed out! Sam Jenks, after completing the course, landed a job at one of the best-known direct-marketing firms in America. Sam’s skills quickly established him as one of their leading copywriters. Now, even their “old pros” often ask him for insight and advice. You’ll Be One of the BEST â€¦ and You’ll Be Able to PROVE IT! Sam’s story reminds me of another beautiful thing about copywriting. Everything we do is accurately measured. And that makes copywriting a truly open, fair profession. We constantly measure every website â€“ count visitors to the site and track every purchase. We carefully count the responses to display ads in newspapers and magazines. And the numbers for direct-mail promotions are amazingly accurate! We know exactly how many letters were sent, precisely how many people responded, and how much money came in from anyone’s copy â€“ to the penny! You Can Be FREE AT LAST â€¦ and Forget “Office Politics” Forever! Prove Your Skills, and YOU GET PAYING WORK From AWAI! But, HURRY â€¦ AWAI’S Training Schedule Is BUSY! Don’t waste another day. Take the first step toward changing your life right now! The faculty at AWAI are hard-working, dedicated professionals. They want to give every student the attention and instruction they need to succeed. Take action now! This is a very special opportunity for you. Your successful future, your new life of personal, professional, and financial freedom, is out there, waiting for you. So start the course right away! You May Find It Hard to Believe; I Didn’t Believe It Myself! My First Job “Found Me” While I Was Still in Training! Copywriting Gives You Power â€¦ the Power to Change Your Life! Paying Projects Are Piled Up on My Desk â€¦and ALL the Projects Are in Areas I ENJOY! If this program doesn’t deliver everything we’ve promised, if you’re not convinced that Michael Masterson’s Accelerated Program for Six-Figure Copywriting will provide you with the high-income, work-from-home lifestyle of your dreams, just notify us within 30 days and we’ll happily refund your money. No questions asked. You can be on your way to an exciting career most people don’t know exists. Plus you’ll gain a skill that could easily pay you well over a million dollars in your lifetime. Your satisfaction is 100% guaranteed. You can cancel for a full refund in the first 30 days. After that, you can cancel at any time with no further obligation. That’s as fair as we can make it. P.S:Many of our AWAI’s students never write for other people. They have a business, a product, an idea, or even a manuscript of their own that they want to sell. This course gives them the skills they need to do that â€“ and a whole lot more.